A talbot hound for a Talbot knight….? In Edward IV’s French Expedition of 1475 by Francis Pierrepont Barnard, Humphrey’s badge is described as follows: “ ‘Renynghonde filu [er] on fhau[l]d[er] a mollet.’ This ‘running hound’ was the talbot, the well-known punning badge of his house, and the mullet is his cadency mark, as, at this date, third surviving son. His father, slain at Châtillon in 1453, is alluded to by this badge about 1449: ‘Talbott oure goode dogge ;’ and again in 1450: ‘Talbot oure gentille dogge’. In the same work, Sir Humphrey’s eldest half-brother, the 2nd Talbot Earl of Shrewsbury, is also called ‘dogge’, as is Sir Gilbert Talbot, who was Sir Humphrey’s half-nephew, and so on through various Talbots. The inscription tells us that in the 1475 invasion of France he contributed for the first quarter 10 men-at-arms and 100 archers (for which he was paid £298 0s 6d). At that time he was a Knight of the Royal Body, but is not described as a Banneret. So, does anyone know of another example of a knight/nobleman using a dog (or any other animal) as a pun on his name? Why did she not speak out? I have come across a few conversations on the net in which the question is asked: If Eleanor Talbot was married to Edward IV, why did she not speak out when he ‘married’ Elizabeth Woodville? It’s a fair enough question, although in my view a tad on the naive side. 15th Century England was not a liberal democracy under a rule of law, with the right of appeal to the Supreme Court and ultimately to the European Court of Human Rights. It was something very close to a dictatorship. Yes, there were certain restraints on the sovereign’s power, but these restraints were pretty limited. Parliament and Peers generally only cut up rough when their collective interests were threatened – for example if the King wanted to impose heavy taxation. They tended not to worry too much about what we would call ‘human rights’. Even in our enlightened times, a private individual who had something to say about the sovereign which threatened the security of the state would not exactly have an easy ride. If they were not dismissed as a nutcase, they would certainly attract the attention of the security services, and at the minimum be given ‘advice’. They would also run a good chance of having their lives dissected in the Daily Mail and – who knows? – they might just find themselves conveniently committing ‘suicide’. Let us consider a couple of people who gave Edward IV a little hassle. Bishop Stillington, for speaking words prejudicial to the King, was chucked in the Tower. It should be noted that this was a former Chancellor of England, not a nobody, a man who in addition enjoyed the virtual immunity of prelates from the death sentence, a convention only ever broken by kings called ‘Henry’. 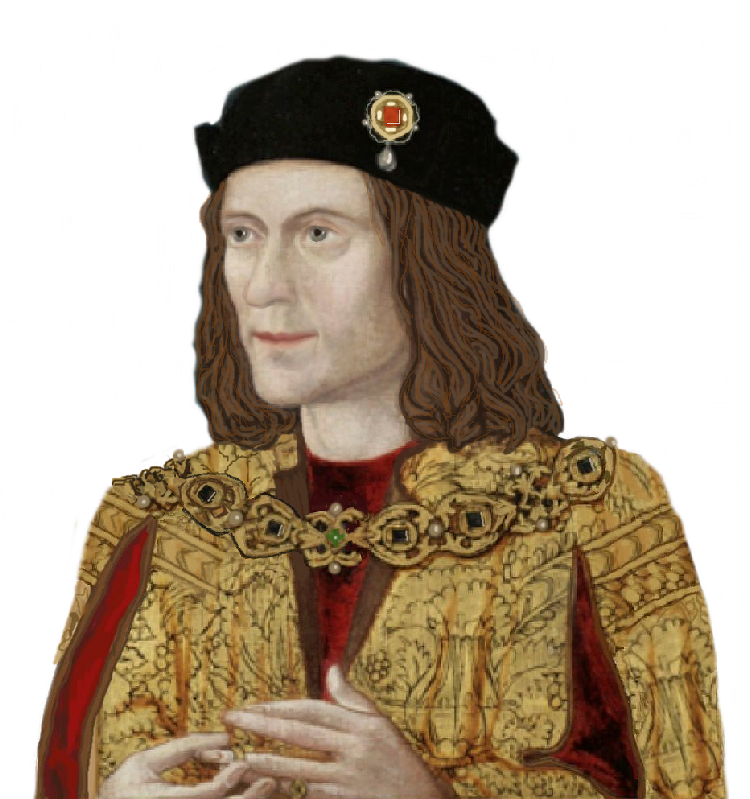 He also had the benefit of an ‘old boys’ network, including the University of Oxford that protected him – to an extent – under Henry VII. Stillington took note. Whatever ‘prejudicial’ words he wanted to give out, he kept them to himself for the rest of Edward IV’s reign. Then there was Clarence, who was actually Edward IV’s full-blood brother. It’s not exactly clear what he did that justified his execution – although we can be sure it was something, as Edward was such a good chap who never did an unjust deed in his whole life. But part of it was certainly protesting to the King’s council about Edward’s actions. Eleanor Talbot was not a prelate, she was not the king’s brother – she was just a little woman. Some of you may not like that term, so let me go on to say at one that I am aware of a number of formidable women (mostly ladies actually) who were a force in fifteenth century England. Indeed, I’ve made quite a study of more than one of them. They usually had at least two of the following: very high-placed male relatives; considerable lands of their own; and last, but by no means least, a forceful personality. Most had all three. It’s quite possible that Eleanor Talbot did not have one. She certainly had no significant lands, and her nearest male relative, Sir Humphrey Talbot, was not a man with a great deal of political ‘kick’. Indeed, he was in need of royal patronage, which he eventually received. Of course, the occasion when Eleanor should have spoken out was the formal, public wedding of Edward IV and Elizabeth Woodville. But as no such public ceremony ever took place, she couldn’t, could she? After that, I suspect any protest on her part would have been laughed at – if not, she might simply have been thrown into prison. She may also have been restrained by feelings of delicacy – opening the matter would have damaged her reputation and made her look a fool. Perhaps she simply preferred to ‘lie low and say nuffin’ rather than face such humiliation. So I have no difficulty in understanding why Eleanor did not speak out. I think she was very wise not to do so. Lady Eleanor Butler (born Talbot) probably knew that she was dying. In the early months of 1468, she transferred the lands that were hers to transfer to her sister, Elizabeth, Duchess of Norfolk. Where these lands came from is something of a mystery. John Ashdown-Hill has demonstrated that they were not dower lands, could not have been inherited, and were almost certainly not bought by Lady Eleanor, as she lacked the resources. The most probable origin of this mysterious land is that it was a gift from Edward IV. As King Edward was not in the habit of gifting land to random females this is suggestive of a connection between them. Of course, some people have pointed out that the land was not particularly valuable. Oh, well that makes it OK then! The point is that land – even small amounts of it – was not just handed out for no reason. No one has satisfactorily explained where the land came from if it did not come from the King. Anyway, no sooner was this sorted than King Edward appointed Duchess Elizabeth to go to Burgundy with his sister, Margaret of York, on the occasion of the latter’s wedding. This involved the Duchess being in charge of the whole female side of things – no mean responsibility when around one hundred women and girls were attached to Margaret’s train. The reason for Elizabeth’s selection was probably that she was the most senior English lady who was not either a member of the royal house or a Woodville, or both. It may also have been intended as a mark of favour to her husband, John Mowbray, Duke of Norfolk, who, although apparently not the sharpest knife in the drawer by a long way, was at least a loyal Yorkist. So off they popped to sunny Burgundy, to the celebration and pageantry that John Paston felt there were no words to describe. Elizabeth’s brother, Sir Humphrey Talbot, went with her. The unfortunate Eleanor was left behind in Norfolk to die without any of her birth family around her, although one would like to think that Norfolk himself visited with the occasional bunch of flowers. She was buried in the house of the White Carmelites at Norwich. Elizabeth had scarcely set foot back in England (round about July 1468) when two of her servants John Poynings and Richard Alford, were charged with having treasonable dealings with the agents of the Lancastrians in Kouer-La-Petite. Brought to trial, they were found guilty and were hanged, drawn and quartered. Now, as I mentioned above, Elizabeth’s husband, Norfolk, was a loyal Yorkist. So why should his servants have been suspected of intrigue with the Lancastrians? It makes no obvious sense. Elizabeth herself – though one of the most charming individuals to appear in the Paston Letters – was in no position to do anything of significance for the Lancastrian cause even if she was that way inclined. She did not control her husband’s retainers, or his castles, or anything helpful. One of the Lancastrian exiles present in Flanders was, however, Somerset, Elizabeth’s first cousin, and brother to her good friend Lady Anne Paston. It is possible that she sought to pass on family news to him – but if this is the explanation, the treatment of her servants was extremely severe. So was this a shot across the bows, to warn Elizabeth to keep her mouth shut about – certain matters? Who knows. What can be said is that on 8 December 1468 the Duchess took out a pardon for all offences before 7 December. It is quite unusual for a married woman to take out a pardon without the inclusion of her husband. In civil matters she had no separate legal standing, she was under coverture. It may simply have been an insurance for any errors or omissions committed while serving in the office of Margaret’s Principal Lady-in-Waiting. There was, after all, potentially a lot to go wrong, jewels to go missing, whatever. But it could also indicate something more sinister. On 28 January 1469, the Duchess’ brother, Sir Humphrey Talbot also received a general pardon. It looks to me as if in the autumn/early winter of 1468, Elizabeth and Humphrey were under royal suspicion for something. The question is, was it something they did, or something they knew? Elizabeth, Duchess of Norfolk, is a good height for a woman, but not tall – only her headdress make her seem so. As a recent widow, she is clad entirely in black, from head to foot, her furred gown made of the finest wool damask London mercers can supply. She is a handsome woman – some go so far as to call her beautiful – and on her lovely face there is an expression of sheer resolution. Nonetheless, she is calm, almost relaxed, nodding graciously in response to the bows and curtsies the lesser courtiers make as she passes. Behind her by a single pace is her brother, Sir Humphrey Talbot. He is a knight, and an English gentleman, and so outwardly he also appears calm. In truth, he is close to shitting himself, because he knows what the Duchess is about to do. They have discussed it again and again, but he has failed to change her mind. However, as a knight and an English gentleman, he is still there to back his sister. He can do no other. Honour commands him, and it is as good a day as any other on which to die. The courtiers think she is here to attend the wedding of her little daughter to King Edward’s little son. Humphrey knows better. They are about to find out that Elizabeth is truly old Shrewsbury’s daughter, afraid of nothing on this earth. The King is seated on his throne, a welcoming smile on his pudding-like face. He is very tall, and increasingly very fat. People still call him handsome, but those that do are relying on memory. These days he lives on charm, and when that fails, on threats and terror. He has lately thrown his brother, George, Duke of Clarence, into the Tower on very dubious grounds. No one doubts that Clarence is to die, though no one knows exactly what it is that he is supposed to have done. None dare question Edward on the matter. One does not question the King of England, and certainly not this particular King; a man ready to kill his own brother, for reasons that are not entirely clear. He is a petty tyrant too. 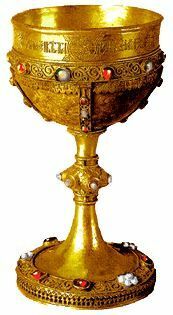 When he arranged, or rather ordained, the marriage for Elizabeth’s daughter, he forced Elizabeth to accept a reduced dower, so that his son would be the richer. The Duchess remembers that fact keenly. If you conversed with her you would find her an amiable woman, but she does not like to be cheated. Around the King stand his leading men: His younger brother, Richard, Duke of Gloucester. Gloucester looks to be in pain, because he is. He has been standing a long time, and his back is giving him agony. But he is a knight, and an English gentleman, and so he does his best to ignore it. Then there is Hastings, the King’s Chamberlain and life-long friend. All smiles, Hastings; everyone likes him, from the King to the lowest scullion of the court all will tell you what a splendid fellow he is. No one will tell you that he buys and sells favours, that his chief loyalty is to himself, and that he introduces whores to the King’s bed as part of his job. Next to him is Anthony Woodville, Earl Rivers, the Queen’s eldest brother. A cultured man, Rivers, who writes poems and takes part in formal jousts, pleased because Clarence, whom he hates, is locked away and likely to have his head cut off. He flatters himself that this is because of his advice, and that of his sister. So he is the image of complacency and satisfaction. Even the Duke of Suffolk is here, the King’s brother-in-law, who rarely strays from his own manors. Well, there is a Parliament, and this is also a family occasion, so that is his excuse. He has the look of an over-dressed pig farmer, and Elizabeth recalls he has manners to match. Then there are the clergy; on this occasion Bishop Russell of Rochester and John Morton, Archdeacon of Leicester. They stand slightly in the background, their smooth, assured faces like masks. She is glad the Queen is not present. She does not enjoy cat-fights, and there is no telling how that ill-bred woman will react to her announcement. Elizabeth advances, making the prescribed three curtsies along the way. If anyone notices they are not as profound as they might be, they put it down to her rank. Rank has its privileges at court. A duchess can get away with things a mere gentlewoman might not. They are only surprised when the duchess speaks without waiting to be spoken to. A strange sound seems to echo about the great chamber, the result of collective intakes of breath. No one can quite believe his ears. King Edward’s mouth – surprisingly small and rosebud-like in that great moon of a face – falls open, but no sound emerges except a gentle choking. He gets a taste of the eels and white wine he had for breakfast, but no words form. Anthony Woodville, furious with what he perceives to be an insult to his sister and his family, takes a step forward, but Gloucester holds him back before he can make a fool of himself by physically attacking a lady who is not even his wife. For which, under court etiquette, there is no excuse. All eyes go to the King. Everyone expects him to explode with anger, but in fact Edward has his head in his hands. He is actually weeping. Gloucester rushes off. After he has gone, everyone just stands in silence, waiting. No one answers him. Rivers squats on his haunches. He tries to formulate a poem, perhaps one about disaster, but nothing he can think of quite cuts it. He is ruined. His whole family is ruined. His sister is going to go mad! The only good thing is that no one wants to execute him. Fortunately, they’ve all been trained in the art of keeping quiet and standing still. The hours go by, or at least it seems that way. Until at long last there is the sound of footsteps ringing on the tiles. Richard is back, with his brother, George Clarence and the rather shabby-looking Bishop of Bath and Wells. It is, after all, an offence under church law. As the King is led away, Clarence stares at the Duchess in admiration. Everyone applauds, except Rivers, who is too upset, and Hastings who has gone off to look for a consoling cup of wine. This is a piece of Alternative History. Things did not really happen this way. However, when discussing the story, please assume that Eleanor Talbot really did marry Edward IV. (After all, even the 19th Century historian James Gairdner thought she did and the marriage was confirmed by Act of Parliament.) Can you think of any reasons why the secret did not emerge in reality until 1483, after Edward’s death? What do you think would have happened to the real Elizabeth if she had behaved this way? Do you think Humphrey Talbot, or Bishop Stillington, being men, would have fared better or worse? If you had lived in those times, as an ordinary person, would you have revealed the secret, and what do you think would have happened to you? How many people do you think would have known the secret, directly or indirectly. Do you know of any evidence that Edward IV had a conscience? Give examples. Taking into account your answers to the above, do you still find it strange the secret did not come out while Edward was alive?